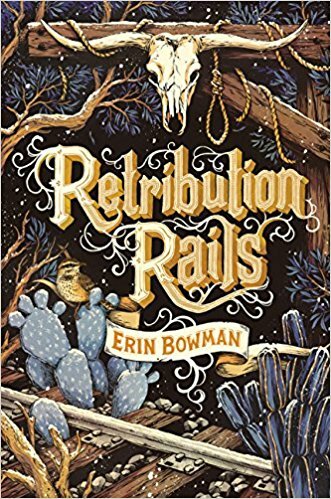 Erin Bowman takes us back to 1887 Arizona territory, ten years after the events that transpired in Vengeance Road. This time, we meet Reece Murphy—an 18-year-old outlaw who seeks escape from the infamous Rose Riders. Luther Rose, leader of this band of criminals, has forced Reece onto the gang, all because of a mysterious gold coin given to him by a stranger. As the Rose Kid—his despised moniker—he’s run into the kind of trouble he wishes to forget, becoming a person he never intended. During a heist gone wrong, Reece crosses path with an aspiring journalist who seeks to change her own life circumstances. Mining heiress Charlotte Vaughn hopes to escape the clutches of her conniving uncle, while making a name for herself as a writer. Soon, Charlotte is bound to the Rose Kid, who realizes he needs her if he’s ever to be free. But the road to freedom is paved with manipulation, secrets and more trouble than they know what to do with. Worse yet, they both find themselves in the middle of a decade-old quest for retribution when they meet up with familiar friends. Charlotte and Reece will have to face their pasts, grapple with their moral boundaries, and find a way to work together if they’re to have the kind of future they seek. With robberies, shootouts and gunslingers aplenty, Bowman has skillfully immersed us in the Wild West, with a story that’s gritty and rugged. High-stake encounters and a bit of romance balance out this fast-paced Western adventure that is sure to satisfy fans of the genre, and beyond.